Catharine Olsen becomes a mail order bride, leaving Holland for the USA, travelling by train to prairie land WY with her 2 young sisters in tow. Catharine became the guardian of Anna 15, and Greta 17 when her parents perished in an accident. Peter anxiously awaits the arrival of Catharine and is surprised when he sees her arrive with her two sisters. She kept that from him for fear he wouldn’t want her if he knew she had to care for them. Secret number one. Peter’s mother Clara had high hopes for him to marry Dorothy and is struck clueless when she runs into Peter and Catharine on their way to be married. Clara hires a PI to find some ‘dirt’ on this ‘gold digger’ that is taking up with her son. Secret number two. The PI finds that Catharine was married prior to coming to the USA, and she had not mentioned that to Peter either. Secret number 3. Secret after secret are kept between the couple, that slowly begins to tear at the trust that they had built up through their correspondence and courtship. They both seem deeply devoted, but are they enough so to reveal all the burdens that they are carrying, and bring them into the light? Rich in Wyoming history the novel felt like I was walking down the streets of WY in the late 1800’s. Mail order brides was an actual happening in America where there were hard working men, but no women to share their lives with. This is why I love historical fiction so well. Not only do you get a glimpse of history, of a different way of living, a different economy, dress, etc, but you also get a story that helps make that time period more real to the readers mind. I sure hope Maggie Brendan continues the series right where she left off. I can’t wait to see what happens to the sisters as they grow up on WY, and how deeply devoted Peter and Catharine can become to one another. Celiac disease occurs in 1% of the population worldwide. I have run across friends and acquaintances in my own small town who suffer from the disease. One of the best ways to combat it is to eat a gluten free diet. Several ingredients are crucial to making gluten free breads; xanthan gum, potato starch, sorghum flour, corn flour, quinoa flakes, brown rice flour, etc. Having these on hand will make using this cookbook all the more easier. 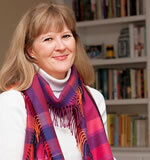 Susan Bell includes useful tips and hints in the beginning of the book on kitchen basics, eating out, and reading labels. Just like your basic cookbook she includes recipes from each category of food needs. Great sounding pancakes and muffins, that are completely gluten-free. Cakes, pies and candies all utilizing either premade gluten free products or making your own. 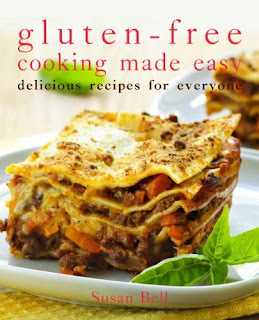 I did notice that several of the recipes were naturally gluten free, which adds to the completeness of the cookbook. Great recipes for everyone in the family. Why go to the trouble of cooking separate for your celiac when you can use a cookbook like this one to provide the same wholesome meal for your whole family. I think cookbooks like this are definitely needed as those diagnosed with gluten allergies or celiac disease are on the rise. Thanks to Walnut Springs Press for providing me a copy of this book to review. First in a new Amish quilt series! Widow Amelia is left to run her husband’s pallet shop in addition to managing her household and two young children, after he is killed in a buggy accident. 11 months later Amelia still struggles and entertains the idea of possibly selling the business after an English customer inquires into it. Amelia begins to notice pins and needles in her hands that are becoming much more than just a nuisance. Consulting her mother she tries her home remedies and then tries the local chiropractor that many Amish go to. That doctor strongly suggests she see a medical doctor. An MRI shows the early stages of multiple sclerosis. Treatment options are to take medications, expensive for an Amish women without medical insurance, or travel to Mexico for an experimental study. Both are extremely expensive and need approval of the Amish community. Thankful for her friendships of Emma and Carrie and her time with them quilting, she is able to walk through her journey with their help as well as that of God. Unique spin on the typical Amish novels, tackling a disease like MS. I enjoyed the information on what Amish do in the case of serious illness like that and how the community works together to help provide funds needed for medical procedures. I loved how the quilting weaved into the story line and the author even includes a sample block instructions at the end of the novel. I look forward to reading the rest of the books in the series! 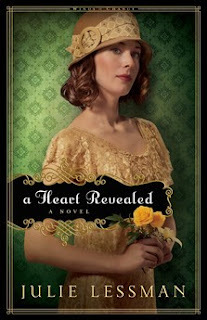 I received a copy of The Wounded Heart in exchange for an honest review. And for one of my blessed readers the Publisher is giving away a copy of The Wounded Heart! 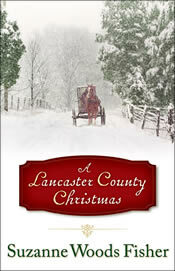 You must be a GFC follower to comment, then leave me a message with what you like about Amish Fiction novels. Be sure to give me your email address so that after the contest I can get your snail mail address and pass it along. The contest is for USA and Canada residents. I will leave the entries open for one week, and use random. org to select a winner. Unbroken is a series of testimonies on how God loves us and never leaves us. A book on real life stories of the world and its enemy Satan tearing down women of all walks of life. 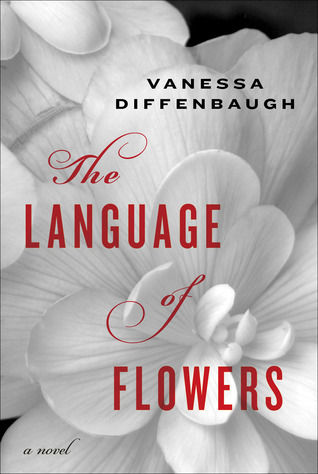 Stories of alcoholism, sexual promiscuity, low self-worth and dysfunctional upbringings, all affecting women’s view of themselves and the life created for them. 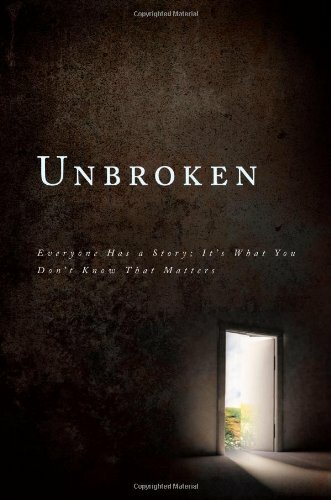 Stories of hope in God and being ‘unbroken’ rather than broken as our Father fixes the broken hearted. 9 women share their stories but the reader does not know whom each story belongs to. Photos of each of the women, untitled follows the introduction. This shows the reader that you can’t just look at someone and see that they look ‘normal’ on the outside, so you assume they are ok on the inside. Each of these beautiful women have been through struggles that only God could redeem. Showing awareness that each person has a story and we should be wary to start rattling off things when we don’t know how each person struggles. Each story draws the reader into their turmoil and discord, only to be brought back through the hope that only the love of Jesus Christ can bring. I received a copy of this book from Tate in exchange for an honest review. I found this great blog hop for Friday that you simply get an opportunity to find other blogs like mine!! I am at number 16 this week and the bunnies up above should take you to the list. Have fun hopping around other Family Friendly blogs and thanks for following my blog. Great book reviews coming soon!! God’s blessings from “Good Morning to ‘Night Night”. 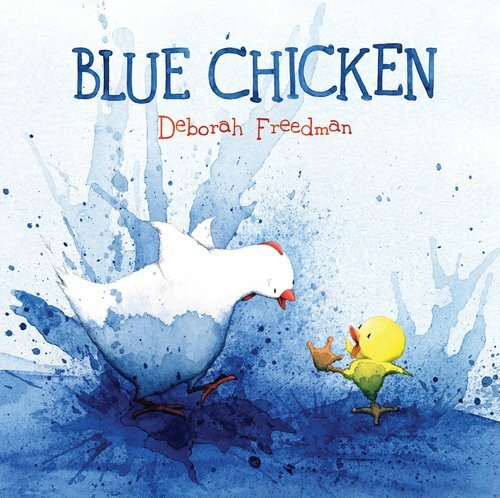 Rhyming, sing song words that young toddler will know and understand. Being thankful for pancakes, playing with friends and pets. Thanking God for toys, family and bubble baths. Perfect size for a little one to have read to them at night night time! Reminds your little one of all the blessings God bestoys upon our days and to know that He is watching over us as we sleep. Soft illustrations give off a warm feeling as you nestle in to read this book at night time. Simple use of what looks like chalk drawings, not overly detailed, just right for toddler aged children. The board book offers a book that they can hold while you read and even tuck under their pillow for bedtime. 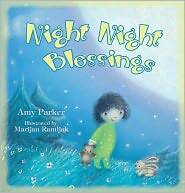 Great book to get started with counting your night time blessings with a little one as you tuck them at night night time! I received a copy of this book from booksneeze in exchange for an honest review. 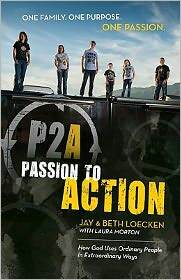 The subtitle of the book is How to Raise Media-Savvy Kids with Love, not War.. I just loved that! I tend toward being a bit ‘fussy’ about what my kids watch on TV and listen to in the music arena. Bob brings across the point that media does influence us and our children, that people are motivated by what they see and hear in the media. We cannot just take a back seat and be ignorant to the fact simply because it may be easier to not confront it. Crimes shows are mimicked, love scenes are mimicked and bad morals are taken in as acceptable to some who watch the shows, even Christians! Understanding where your kids are spiritually is the starting place for limiting media, not just setting up a bunch of rules. We are in a battle for our children’s minds and hearts. Encourage our Christian children to honor Christ with their choices in media. Bob uses scenes from shows on today to emphasize his point of how easily media can ‘slip’ in things that are ungodly. He then goes to quote scripture verses on how we should choose our friends, view our surroundings and keep from evil. All that can be used in our media experiences today. I was fortunate to be pretty on target with the thoughts and descriptions that Bob discussed. Only one TV, out in the open, the children listen to Christian music by choice, and the computer is in an open space as well. Does that mean we are immune, not at all. We can just see more clearly the things that are going on, and can continue to monitor and guard against the evil one infiltrating our children’s minds. Definitely a concept that Christian families need to consider and not just brush it under the rug! Bob Waliszewski is a parent and former youth pastor. He's also director of Plugged In Online, which is visited about one million times each month by people looking for detailed, trustworthy information on today's entertainment. Bob's weekly Plugged In Movie Review is heard on nearly 600 U.S. radio stations, as well as in about a dozen other countries. This topic is one I feel strongly about and would encourage others to seriously consider reading Plugged-In Parenting. I am giving away my review copy as I feel this is a message that needs to be heard! Adorable merging of print and real life! The story begins as a picture of a barn scene is begin painted by an unseen artist. The brown chicken coop is complete along with the chicks and chickens. The artist is going to work on the barn now. One curious chicken eyeballs the blue paint, hops off the painting and decides to 'help' paint the picture. She ends up spilling the blue paint all over the pages and everything becomes a blue watercolored mess! Goodness that little chicken has caused havic and is so sorry for the mess and wants to 'undo the blue'. Artistic story line of this cute little chicken getting into trouble and becoming part of the real life scene though he was simply just a part of the painting. 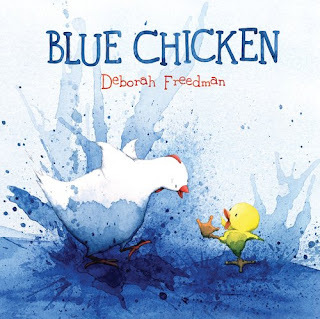 The other farm animals follow suit as the blue paint runs across their pages turning them blue as well. The creativity of having the painting come to life, run ammuck and then become a painting again is so fun for curious children. The words and drawings flow together so beautifully and you want to reread the story as soon as you come to the end! Thanks to Penguin for sending me this book to review and to Deborah Freedman for passing along my information to them. This was a fantastic children' book! I learn best from analogies, especially information that needs to stick in my mind. That is exactly the technique that Matt Redman uses in his book Mirror Ball. He shows how we are a small, insignificant mirror ball, in of itself not all that flashy. With the light of God shining on us we can penetrate into many venues with our brightness. Apart from God we are nothing, with His light we are bright and shining. Matt writes “When God Shines upon His church, we become a dazzling testimony to His awesome radiance”. We may think we are too small, but with God it is just a matter of the His light. Don’t underestimate God’s power to use us if we are willing to reflect His light. Matt brings his love of worship and his giftedness of being a songwriter into his writing as well, often times referring to the Psalms and songs of praise to better explain his theme. I love how there is a list of songs in the index and many quotes from his works in the study guide at the end of the book. 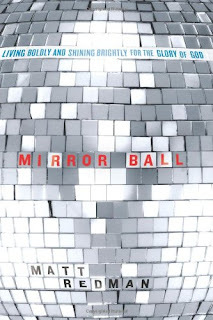 Similar message that Christians have heard, but given from a perspective of a worship leader, songwriter, and disco ball reflecting the glorious light of God. A Patrick Bowers Thriller! Take an FBI agent, Secret Russian Spies, Computer Hackers, Government Officials, and Environmentalist and throw them all into a novel and you have a thriller of utmost proportions! 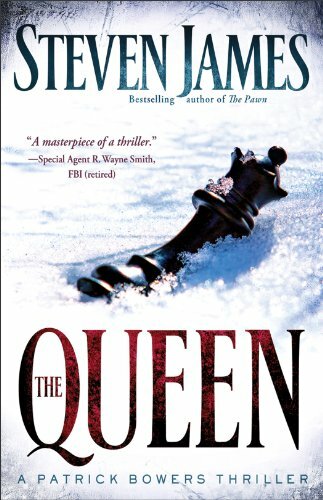 This book is the 5th in the series and it definitely was able to stand alone. The Queen also known as Valkyrie was an unknown person in the plot who was the mastermind behind the plan to take out many with a ballistic missile. There were many subplots in this book that all melded into one another. They were searching for a serial killer who had resurfaced. 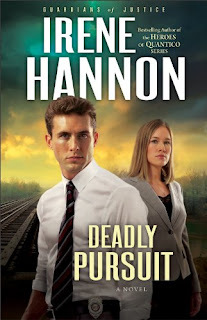 I should have heeded the warning that parts of this book were graphic and not for the faint at heart, but I managed to muddle through those parts to get the basis of the plot. Romantic interests of course had to be involved in the novel for all of us not so technically minded. 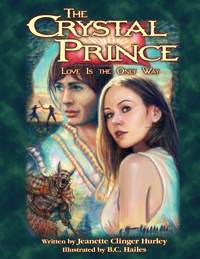 Patrick and his current love, past love and his brother’s love all had their subplots. This book easily could have become many books with all the subplots and interests in it, but it worked well for just one book too. Maybe a bit overloaded with information, but I think there is a niche for it in the reader world. 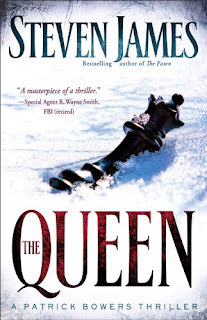 I may try one of the other novels by Steven James when I can sit quietly and concentrate on the book, rather than being interrupted. Gabby is a clumsy little guardian angel in training. She is ready to get her first assignment, Sophie who is a little girl who needs lots of protection, one of the main jobs of a guardian angel. Fearless Sophie is off to ride a pony and Gabby is right there to talk to the pony to let him know how much God loves Sophie and wants the pony to ride safely. Out of sight, Gabby is right there to help when the pony gets scared and Sophie is nearly thrown off. Sophie realizes that night that God must have been protecting her, and Mom reminds her of the Bible and how God says he will have his angels watching over us. Adorable, girlie book! The illustrations are just darling, and Gabby is an angel you would want to hug! I love how Sheila Walsh took the subject of guardian angels and made it feel like a reality for young ones. Though we can’t see them, God has angels all around us to protect us. 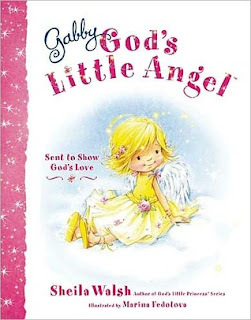 Just the book little girls can read to learn more about angels and how God uses them to show his love for us.